This shirt dress is perfect for a day to night look. 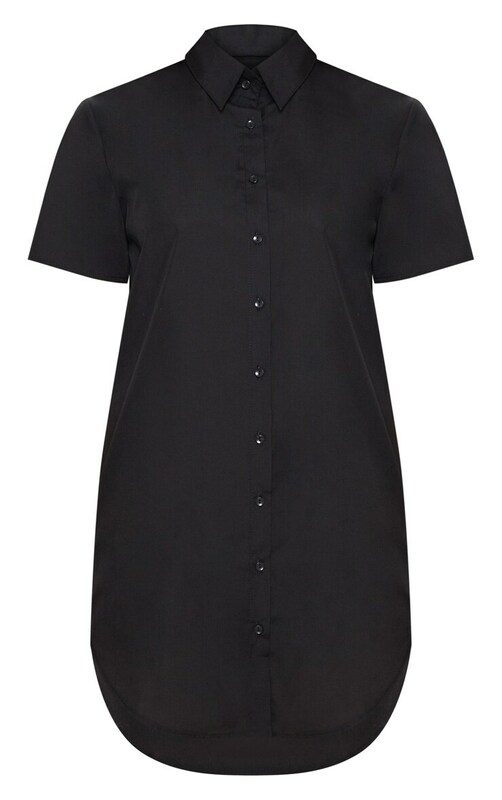 Featuring a black material with button up fastening and dipped hem. 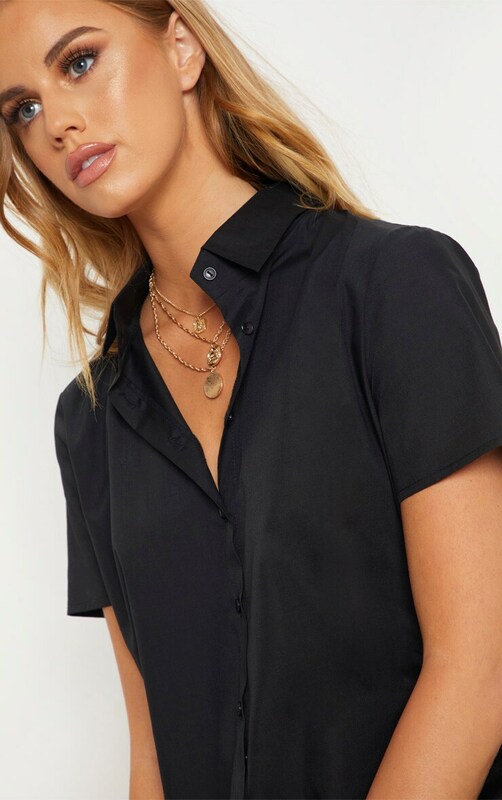 Style this shirt dress with fresh kicks and a pendant necklace for an off-duty look we are loving.